Take a look at the piece that brought home the trophy below. 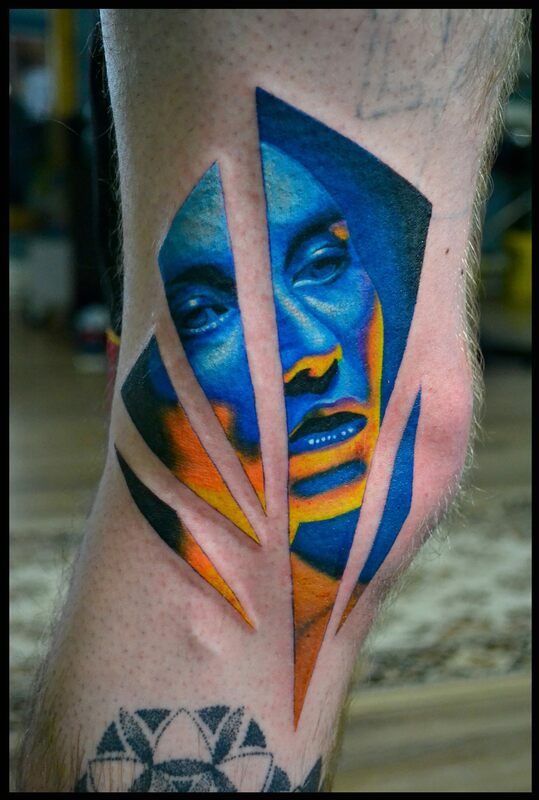 Check out some more cools bits from the tattoo festival too. Kepp an eye out for our video of the weekend coming soon! So it was on the road time again, and we were all set up and raring to go at this years Southampton Tattoo Festival. 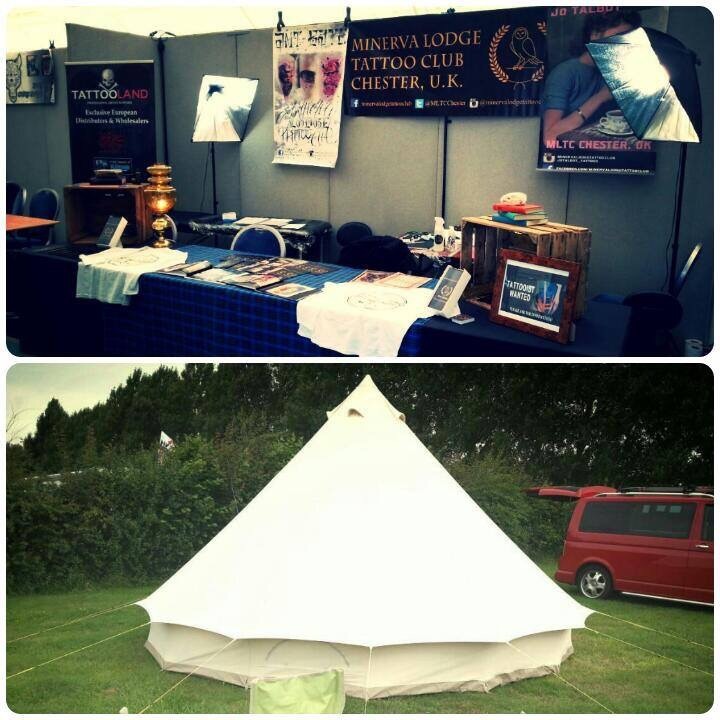 Great weather, loads of amazing tattooists and a little camping, what more could you want?! Ant had some availability for Saturday down in Southampton which quickly got snapped up & Paul & Wayne were manning the fort back at the MLTC tattoo studio all over the weekend, thanks guys! Day number two came & went at Southampton Tattoo Convention. 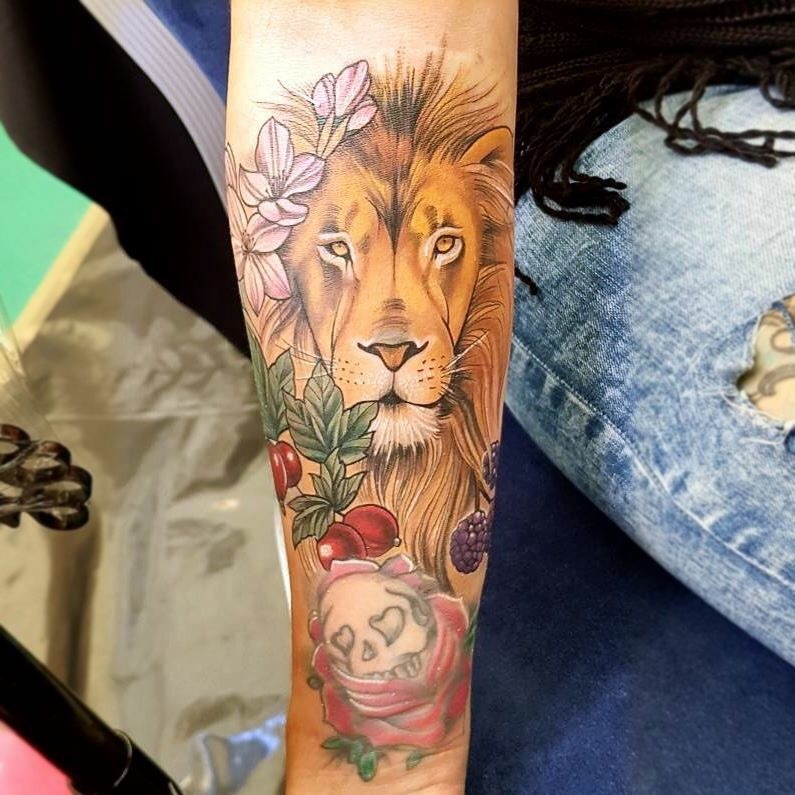 We were lucky enough to have some great tattoo pieces booked in with some great customers! Speaking of which, check out this beast, get it?! That Jo Talbot MLTC Tattoos unleashed at Southampton Tattoo Festival! After a wicked weekend on the south coast inking away, we’re back home for another week of killer tattoos! 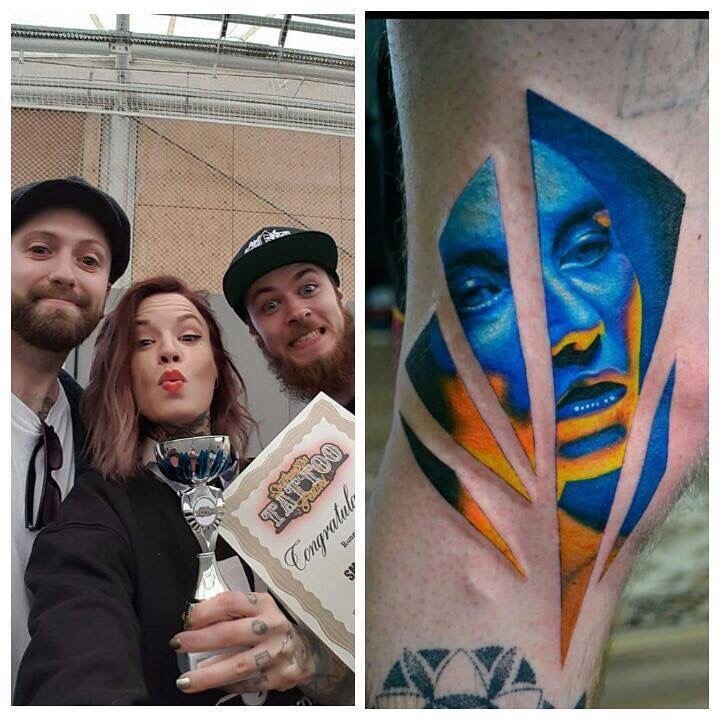 Massive congrats to our very own Jo Talbot for winning an award at Southampton tattoo festival, for the killer piece on Ant!! We had a blast as always, great to catch up with tons of top people! Mega proud right now of everyone for working so hard last weekend and always! Keep an eye out for pics of the other pieces by Jo and ant from the convention. We may also have a sneaky video to throw up soon! Contact The Studio & Get Booked in Now! Congratz Jo that is a truly sick design and execution. Well deserved!